Tartu’s famed Vanemuine Theatre (encompassing three houses) acts as an all-in-one cultural institution, handling the bulk of the city’s music, theatre and ballet events. 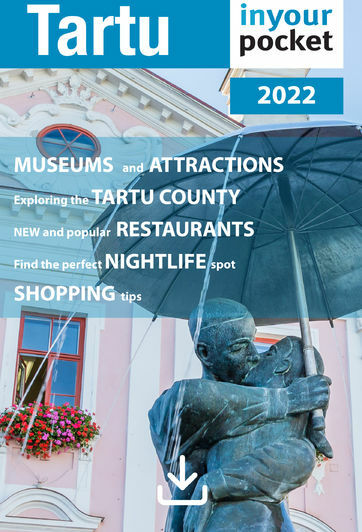 For details on upcoming events, check our Events Calendar and the city’s culture portal at kultuuriaken.tartu.ee. The central and high-tech Cinamon shows Hollywood blockbusters as well as Estonian and Russian productions. Though it dates to another era, the two-screen, 3D-capable Ekraan is still a viable choice if you want to catch a mainstream flick. This Old Town gallery deals in oil paintings, watercolours and graphic art as well as some leather goods. Ceramics, glass and porcelain, some made right on the spot. Contemporary ceramic art and design by Estonian artists in a Nordic-style gallery shop.